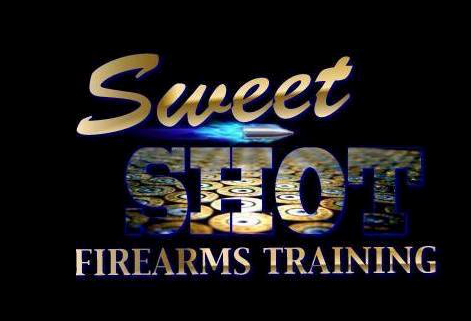 Special thanks to Sweet Shot Firearms for helping bring Sheepdog Seminars to Tulsa! Left: Jimmy Meeks, Colonel Grossman (ret.) and Carl Chinn will speak. Officer Greg Stevens (center) will also present. In May of 2015, Officer Greg Stevens took on two terrorists that had driven from Arizona to Texas - with intentions of committing mass murder at a convention center. Officer Stevens shot both of them, saving countless lives. For his heroics, he was awarded the Medal of Valor by President Obama for "preventing a deadly act of terrorism." Tulsa Police Major Travis Yates (right) will also speak. 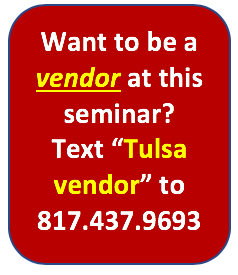 He has been with Tulsa PD for over 26 years, and is a previous winner of the International Police Trainer of the Year Award by ILEETA. Major Yates’ presentation will help the attendee to learn what signs to look for from one who has intends to commit violence, including the indicators given off by those carrying weapons and the pre-attack indicators that accompany violent offenders. Regarding any law enforcement concepts, practices, methods, techniques, products, or devices as might be taught, promoted, or otherwise espoused in outside schools or seminars, there is no intent, expressed or implied, that ‘accreditation’ indicates or in any way conveys ‘CLEET approval’ of such concepts, practices, methods, techniques, products, or devices, unless such approval is explicitly stated by CLEET. Thursday, 8:00 a.m. - 4:00 p.m.
We do NOT offer refunds. If you cannot attend, you may sell your ticket or give it to someone else. You may send your check to Sheepdog Seminars - PO BOX 724 - Hurst, Texas 76053. Let us know if you require a invoice. WOULD YOUR CHURCH LIKE TO SPONSOR SEVERAL FIRST RESPONDERS TO ATTEND THIS EVENT? We are constantly asked by churches and others “How can we show support for our local police?” Well, here’s your chance. Text “Oklahoma Police” to 817.437.9693 and we will contact you ASAP with details. Thanks!